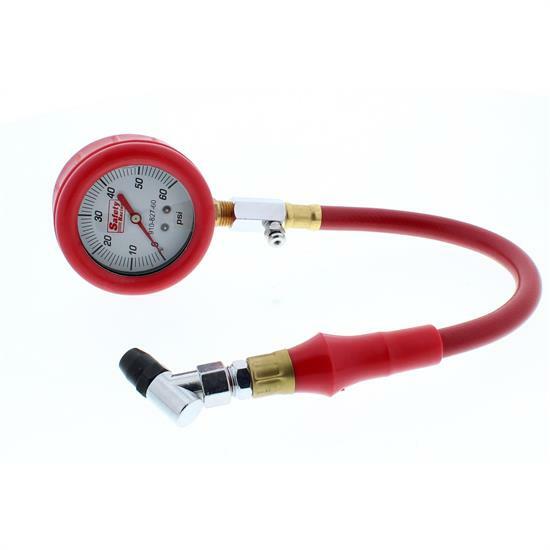 These liquid-filled tire pressure gauges provide super accurate readings under rough operating conditions. Features a rugged steel case with large 2-1/2" diameter shatter resistant plastic face. Built-in bleeder valve and 45° swivel end. Hose is 1 ft. long. Choose 0-15 psi, 0-30 psi, or 0-60 psi gauge. Intercomp 360064 60 PSI Tire Pressure Gauge, 2 " O.D.